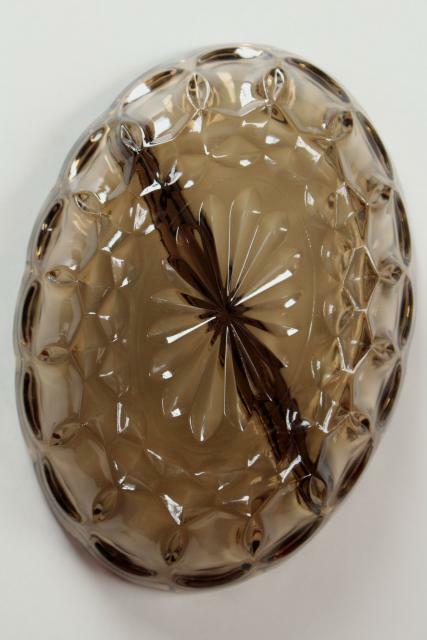 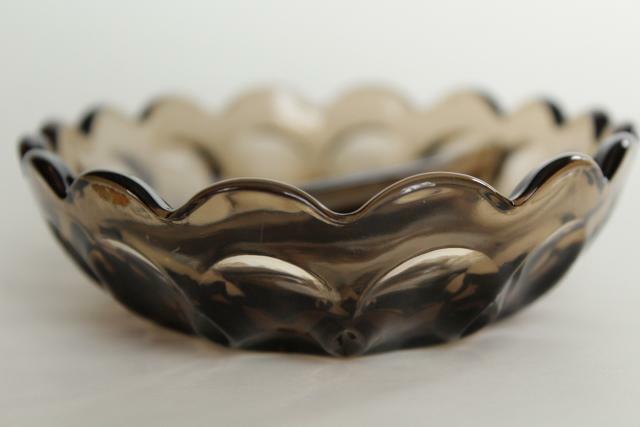 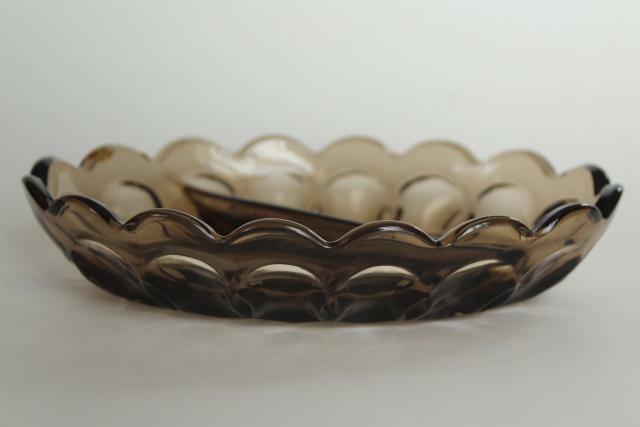 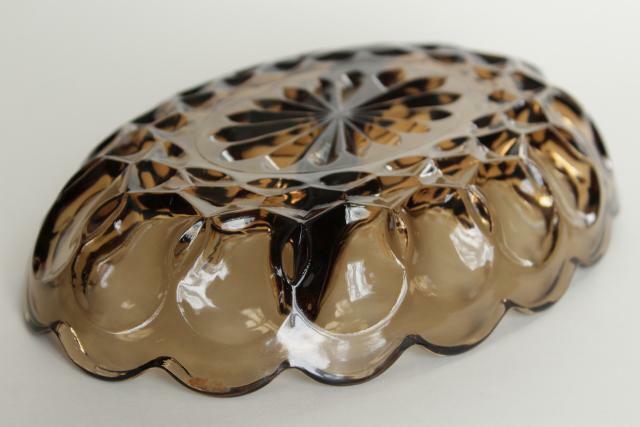 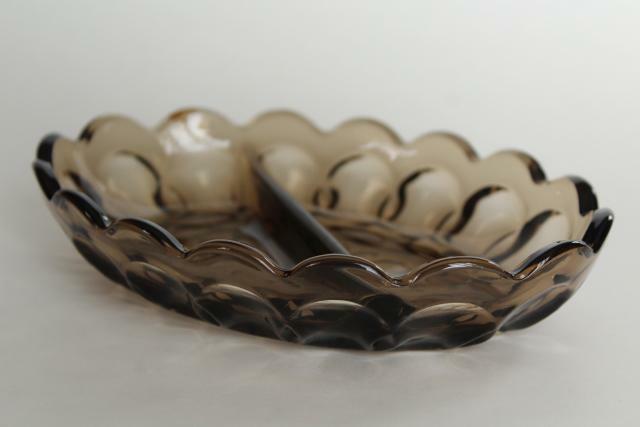 1970s vintage Anchor Hocking Fairfield pattern glass two part relish dish in the tawny smoke brown color. 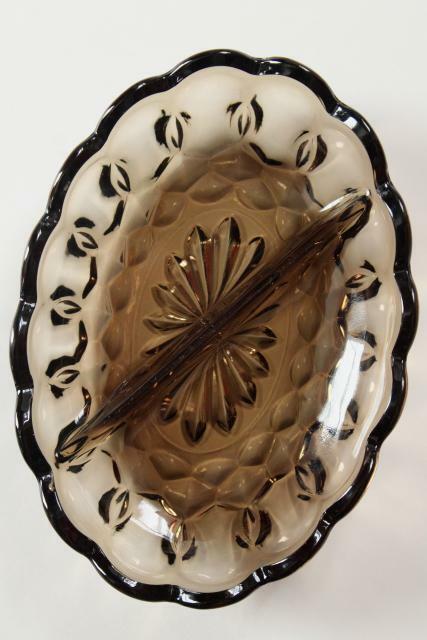 This measures about 7" long. 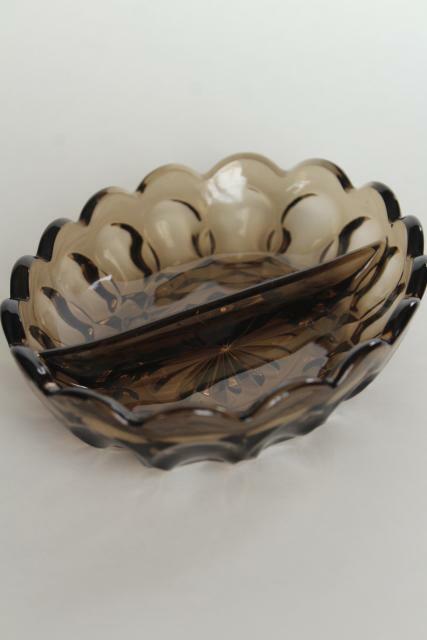 It's in excellent condition without damage or wear, doesn't look as though this was ever used.